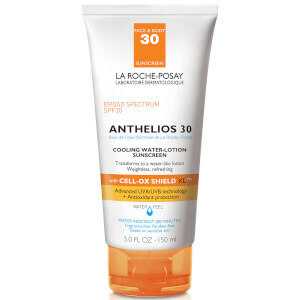 NEW Anthelios 60 Cooling Water-Lotion sunscreen with CELL-OX SHIELD XL™ antioxidant technology. Advanced protection in a refreshing texture. 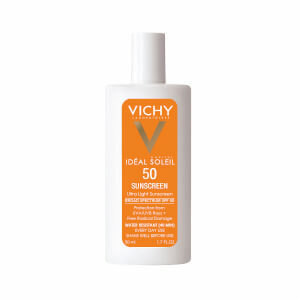 Transforms into water-like lotion upon contact with skin. Water Resistant (80 MINUTES). Fragrance-free. Paraben-free. 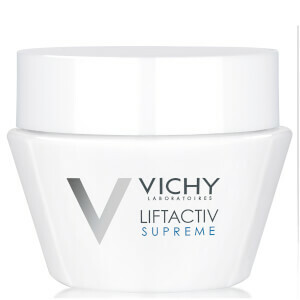 Tested on sensitive skin. 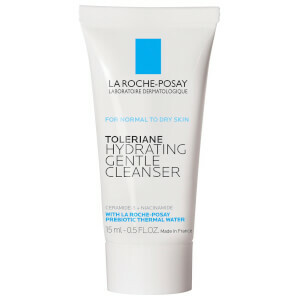 For the first time La Roche-Posay introduces multi-patented CELL-OX SHIELD XL™ filtering system in a revolutionary texture that transforms like water on skin. 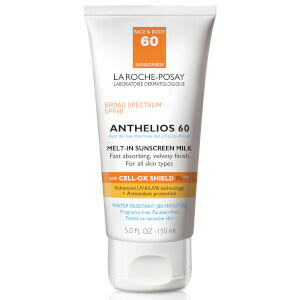 This weightless lotion absorbs quickly, leaving skin feeling refreshed and protected. An optimized combination of photostable UVA/UVB filters chosen for its more synergistic effect to deliver broad-spectrum protection. A formula with a reduced number of ingredients in a fragrance-free, paraben-free texture suitable for even sensitive skin. With Senna Alata, a tropical leaf extract known to defend skin against free radicals caused by the sun that can accelerate skin aging. 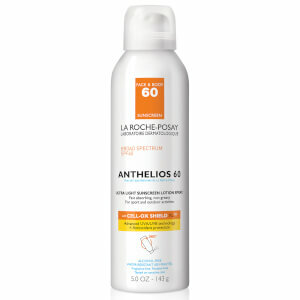 Dermatological safety: Anthelios 60 Cooling Water Lotion sunscreen has been rigorously tested and formulated for optimal skin tolerance. Inactive Ingredients: Water, Dimethicone, Alcohol Denat., Styrene/Acrylates Copolymer, Acrylates/Dimethicone Copolymer, Phenoxyethanol, Propylene Glycol, Caprylyl Glycol, Sodium Polyacrylate, Silica, PEG-8 Laurate, Acrylates/C10-30 Alkyl Acrylate Crosspolymer, Disodium EDTA, Tocopherol, Menthyl Lactate, Diethylhexyl Syringylidenemalonate, Cassia Alata Leaf Extract, Maltodextrin.